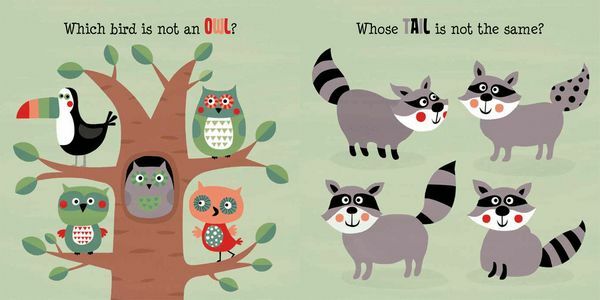 "Something isn't right here - aren't raccoons' tails supposed to be striped, not polka dot? 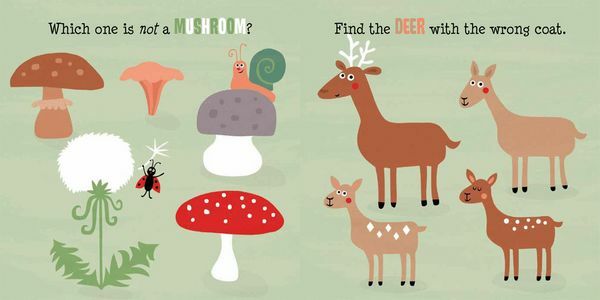 There's a different puzzle to solve on every page of this board book, and something to learn about nature at the same time. This book is great for my 3.5 year old, she's starting to memorize what to do on each page, it's not as small as I expected it to be, and is very good quality, thick pages, colorful graphics, and she's still sitting going on 45 minutes talking to some of the creatures on the pages. It's a wonderful book for 5.99!